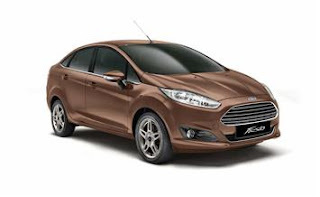 Ford India has discontinued Figo hatch, Fiesta sedan and Fiesta Classic from Indian market. The Figo will be replace by the next generation model, the Figo Aspire will take up the Fiesta Classic position and the Fiesta sedan’s discontinuation is a surprise. The Figo has been a trump card for Ford as it bought back the Ford Motor Company into the Indian automotive map. Figo was a no nonsense car and was an able competitor to the Swift. The lack of rear power windows was a letdown, but in other aspects the Figo gave a run for its money for Swift. Though it had dated looks, the practicality and road manners won lots of hearts of young Indians who liked the performance of the vehicle and also the competitive pricing. The Fiesta Classic which was earlier named as Fiesta was a good product from Ford. The fuel efficiency of the car got laurels to it and so do the practicality. However with the launch of new cars in the segment pushed this Ford’s beauty into the dark. As for as the new Fiesta is concerned, Ford could never gain success from this product. The car was perceived as a ture driver’s car, thanks to the latest technology from Ford. However the lack of rear seat comfort and high price let down the product and now Ford has finally decided to self the plans of its continuation. The replacement model is yet to be finalised, and we feel for might bring in the stretched version of Figo Aspire to fulfil its position.